Maxie Heating & Cooling is proud to serve the Woodbury community! About Woodbury, NJ - Happy to be your hometown Heating & Air Conditioning Contractor! Woodbury is a historic city in New Jersey. Home to over 10,000 residents, this historic area dates back to the 1600s and has many preserved buildings and landmarks. Education services are provided by Woodbury City Public Schools. The Woodbury Friends Meeting House was built in 1715 and still stands as a historical landmark. There are several parks and lakes located in the city for kids, outdoor enthusiasts and recreationists to enjoy. The Greater Woodbury Garden Club is a group that meets frequently for activities and community events. 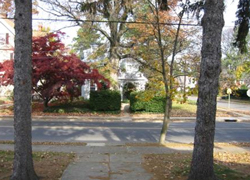 The humid subtropical climate of Woodbury is warm in the summer and cold in the winter. The area is lush with rich, fertile ground and an abundance of crops and trees are grown in the area. The comfortable atmosphere means outdoor activities can be enjoyed throughout most months of the year.